Charismatic, erratic, egocentric, almost forgotten … Sergej Tschachotin (1883-1973) is, like the times he so well personifies, a difficult man to describe let alone to understand. A scientist of great repute, a friend of Pavlov and Einstein, a revolutionary and pacifist, dedicated opponent of fascism. His private life was also extraordinary: five marriages, eight sons. Four sons, separated by great distances tell the life story of their father. Looking between the time of the Russian revolution and the beginning of the 21. century Sergej’s great-grandson, Boris Hars-Tschachotin explores how their individual lives were intertwined. As in his life, the path of his urn was restless and unexpected turns. 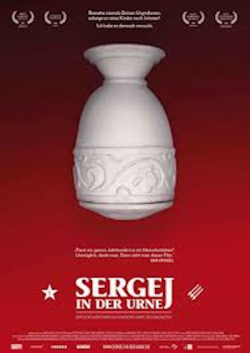 During the shooting Boris found Sergej’s urn in the living room of his great-uncle Eugen.